One of the big disappointments of the festival so far was the UK's Addison Groove (a.k.a. Antony Williams). Expectations were running high for his set, as he was one of the most anticipated acts of the four day event. 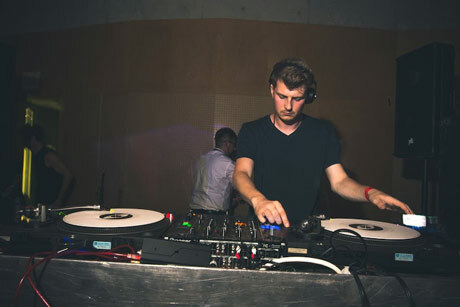 Starting off with a series of broken-beat tracks and bass beatdowns, he quickly transitioned to more shuffling cuts and then went straight back to the disjointed rhythms. From there, he transitioned to some raga-influenced selections, some rave-y synth tracks and on to a reworking of Les Rythmes Digitales' "Music Makes Me Lose Control," which was probably the high point of his set. Towards the end of his hour-and-a-half-long performance, the Bristol DJ even dished out some drum n' bass, which seemed to please some of the people in the room, while sending others to check out something else. While Addison Groove is known for his eclectic track selection, this set felt unfocused and scattered.